Recently, I’m watching old Hollywood movies, and these movies remind me of amazing life stories of quite a few Hollywood female stars. 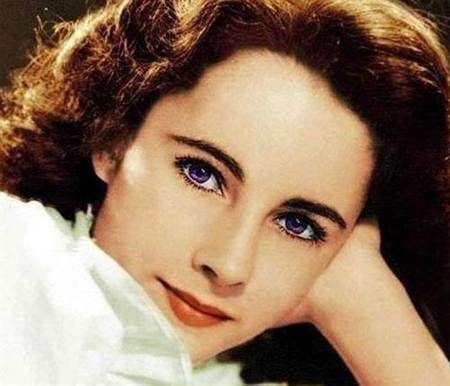 She is a Hollywood Evergreen actress and one of the greatest actresses in the 20th century. She had alluring beauty and more than three hundred pieces of jewellery, but in the end, she didn’t find her happiness. 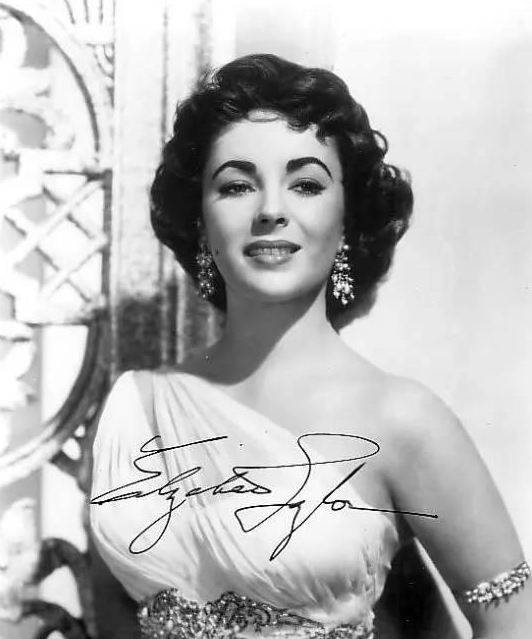 She is Elizabeth Rosemond Taylor, the Cleopatra in people’s mind. Many are attracted by her stunning violet eyes when they meet her for the first time. During her acting career for more than sixty years, the Cleopatra makes people most impressive. Because of amazing beauty, her acting was ignored easily. It seemed that she didn’t play the Cleopatra, but she was the Cleopatra. In fact, she won two Oscar Academy Awards and got four Oscar nominations. She also was knighted by British Queen. Her entire life is as if a big movie, rich and splendid. 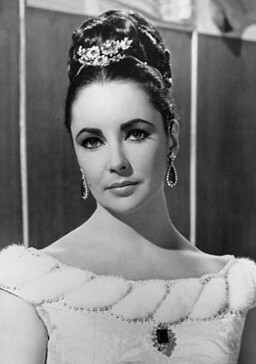 From 18 to 78 years old, Elizabeth Taylor married seven men and experienced eight marriages. Her marriages are like gorgeous jewellery. She was crazy about jewellery, and every piece of her jewellery represents her love affair. Even, she judged how much her men loved her according to the number of jewelry. Taylor’s fourth husband Eddie Fisher gave Bvlgari yellow diamond earrings to her. Pear-shaped yellow diamonds and stunning white diamonds prove his love to Taylor. Mr. Fisher had a comment that a diamond worth fifty thousand dollars made her keep happy for four days. He knew how much Taylor loved jewelry, so he bought many expensive jewelry for her. 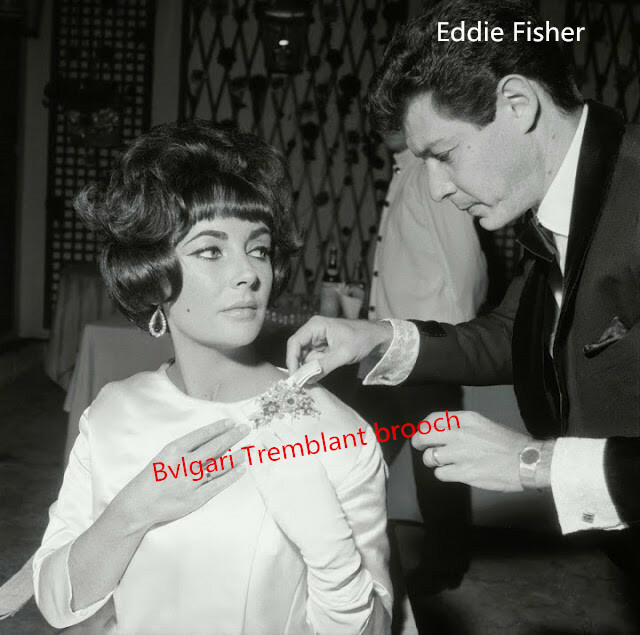 To celebrate Taylor’s 30th birthday, Mr. Fisher bought Bvlgari Tremblant Platinum brooch in emerald and diamonds in 1962. The brooch is precious and chic, worn as a brooch or a hair ornament. Taylor wore it during shooting the film Boom in 1968. The Platinum ring is inlaid with an emerald weights 7.4 carats and 12 pear-shaped diamonds weight 5.3 carats encircling it. 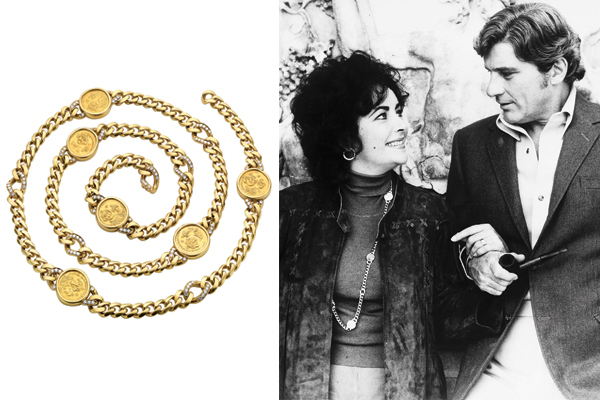 This is the first jewelry Richard Burton gave to her, and their love started with it. 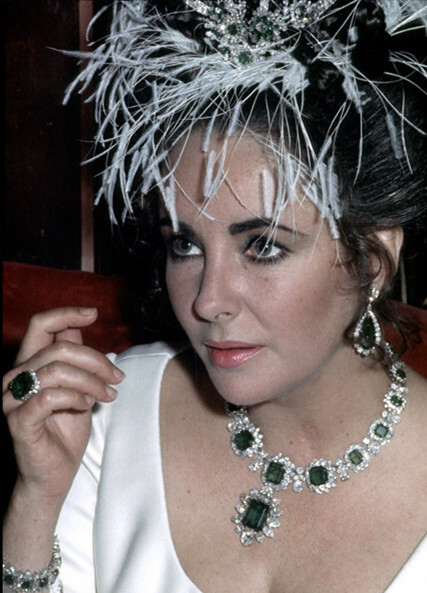 In order to raise money for Elizabeth Taylor AIDS Foundation in 2002, Eliz Taylor donated the ring. 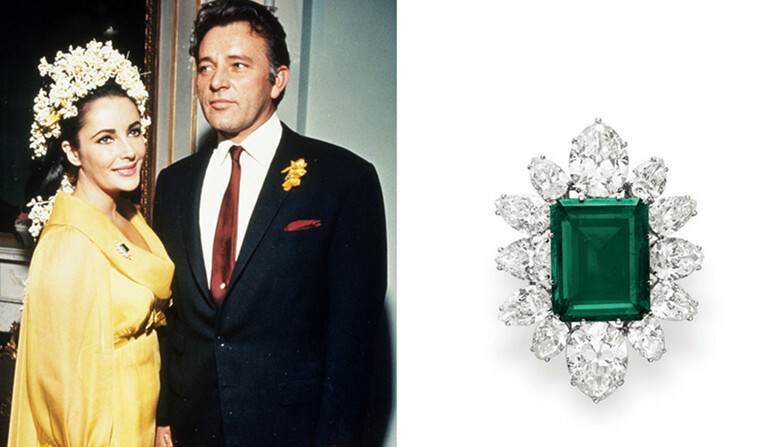 The brooch was an engagement ring Richard Burton gave to Taylor. Colombian emerald weights 23.44 carats is encircled by pear-shaped diamonds. 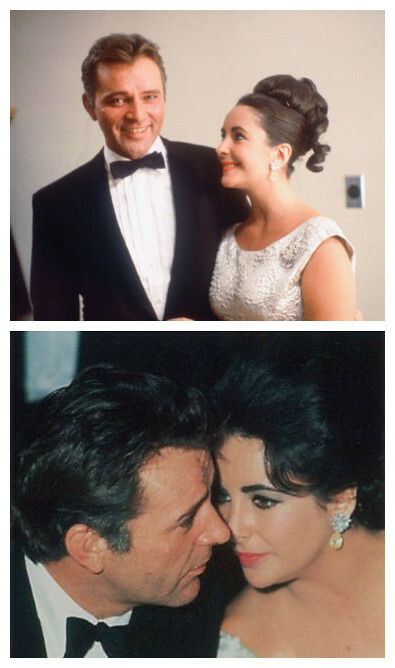 The brooch is the only jewel Elizabeth Taylor wore at the wedding. The necklace weights 60.5 carats totally, which is inlaid with 16 Colombian emeralds encircled by brilliant-cut pear-shaped diamonds. It was the wedding gift Richard Burton gave to her. 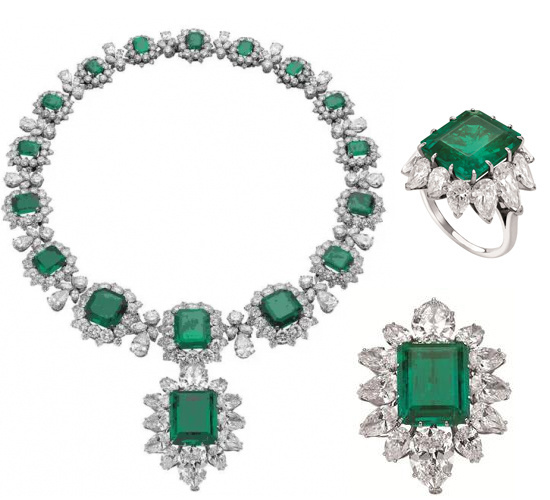 The emerald brooch was designed into a detachable emerald pendent which fits the emerald necklace well. 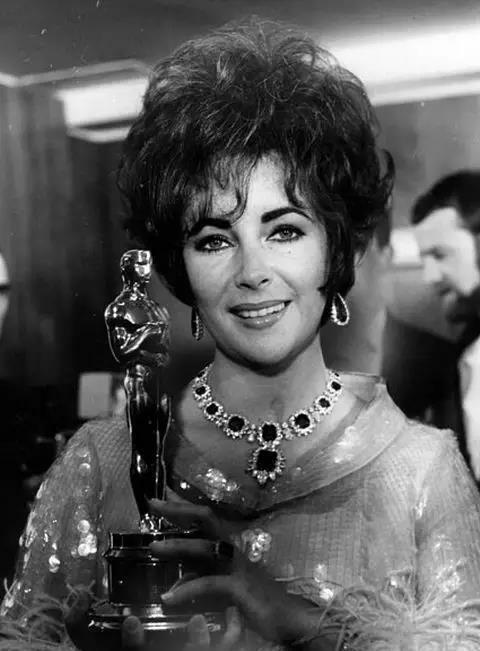 Whos Afraid of Virginia Woolf made Elizabeth Taylor win Oscar Academy Award for the second time. She attended the ceremony with the necklace. 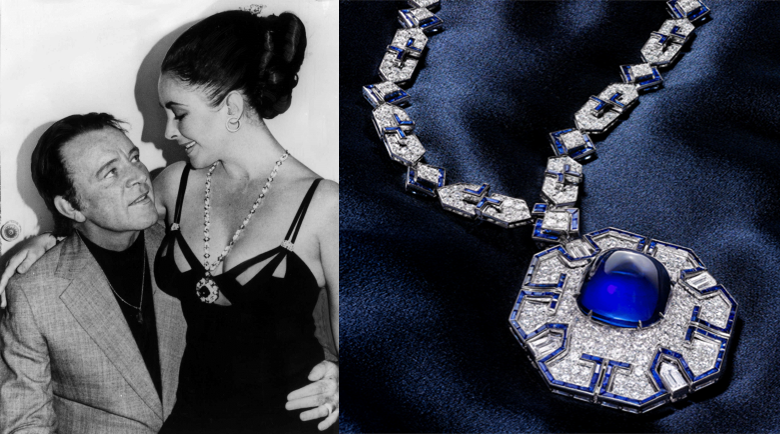 This is a sugar loaf-style long necklace Richard Burton gave to Taylor in 1972, a birthday gift. White diamonds foil the sugar loaf Burma’s sapphire weights 65 carats. Taylor happened to meet Bvlgari Sugar loaf cabochon sapphire ring, and she thought it and her Sugar Loaf Sapphire necklace were a perfect couple. She bought it for herself. From the 1960s, Bvlgari started to add old coin elements into jewellery. Soon, old coins became the featured style. Taylor often wore it in the 1970s.